Gábor Bolla was born October 18 in 1988 in Hungary. He belongs to the rich culture of the Romany who has a great musical tradition that beards a lot of outstanding musicians. He learned to play the clarinet in a virtuoso manner as a young child and won the Hungarian “Music School Competition” by the age of 12. Inspired by his music-loving parents, Bolla soon discovered jazz for himself and started to play the saxophone. A career as a child prodigy followed: After only six months of practicing, Robert Maloschik from public Hungarian radio discovered Bolla and started to support him. 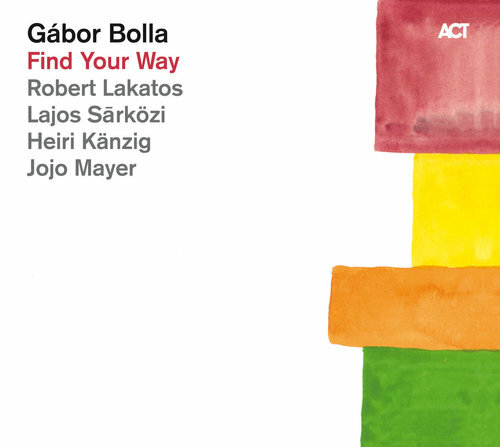 Bolla got to play with the great Hungarian jazz artists and was invited to Getxo Jazz Festival in Bilbao, Spain. At only 15 he reached the semi-finals of the prestigious saxophone competition at the Montreux Jazz Festival. He is the only teenager and Hungarian who has ever achieved this success. Thereafter, all doors stood wide open for him. He was invited to the world-famous Vienna Art Orchestra as a guest soloist and played with US stars such as Johnny Griffin, David Murray, Kirk Lightsey and Gregory Hutchinson. In 2004 Bolla was honored as “Talent of the Year” at the Hans Koller awards. In April 2011 German newspaper “Frankfurter Allgemeine Zeitung” praised Bolla as “An improvisator of overwhelming individuality”.